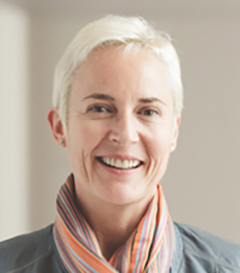 Verena von Bomhard is a partner in the firm Bomhard IP in Alicante, which she founded in 2015, after working as a partner for many years at the international firm Hogan Lovells. She received her law and doctorate degrees from Ludwig Maximilian University of Munich, Germany. Alexander von Mühlendahl received his law degree and Dr. iur. degree from the Ludwig Maximilian University of Munich, and his J.D. and LL.M. from Northwestern University. He teaches at the University of Strasbourg (CEIPI), France, the University of Alicante (Magister Lucentinus), Spain, and at Queen Mary, University of London, Centre for Commercial Law Studies, where he is a visiting professor. He is a Senior Consultant at BARDEHLE PAGENBERG in Munich, Germany. Concise European Trade Mark Law is an article-by-article commentary on the provisions of the European Union Trade Mark Regulation (Regulation (EU) 2017/1001 – ‘EUTMR’) and the Trade Mark Directive (Directive (EU) 2015/2436 – ‘TMD’)). The sweeping changes brought about in 2017 to practice and procedures in European Union trade mark law have precipitated a new edition of this much-relied-upon guide to the field. This is the first book to provide comprehensive guidance to the new EU Trade Mark Regulation, including full details on all aspects of substance and procedure, as well as to the new Trade Mark Directive. The book is a complete guide to practice in the field, written by distinguished practitioners from a range of European countries, with attention to all aspects of EU trade mark law. 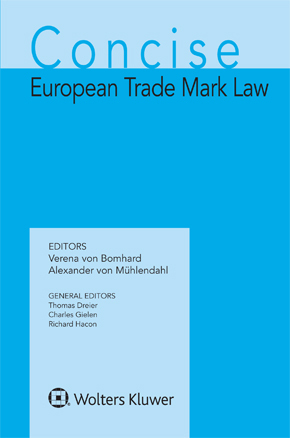 This new and significantly expanded edition, which builds on the two previous editions of the Concise European Trade Mark and Design Law, includes the full texts of the new Implementing and Delegated Acts – available in no other book – as well as a collection of other texts that are needed in daily practice, such as excerpts from the Rules of Procedure of the General Court, the Paris Convention, the Madrid Protocol and the Nice Agreement, the Nice Classification, the TRIPS Agreement and the Directive on Enforcement of IP Rights. This commentary provides the reader with a concise and straightforward explanation of the principles of law to be drawn from each provision. This helps lawyers to gain insight into the regulations and thereby confidently deal with them on a day-to-day basis. Thus this book serves as a standard work of reference for the daily work of all practitioners (including paralegals) who work with EU trade mark law.